Fresco depicting the harrowing of hell. From the Chora Church in Istanbul. You are invited to the Fauré Requiem, free and open to the public. Come be spiritually uplifted by this beautiful piece of music, sung in remembrance of those who have gone before us. On All Saints’ Day, Sunday November 1st at 4 pm. Sacred Heart Catholic Church in Norfolk, Virginia, Princess Ann Road at Upper Stockley Gardens. and to you shall a vow be repaid in Jerusalem. Performance with Robert Shaw conducting the Atlanta Symphony and chorus. 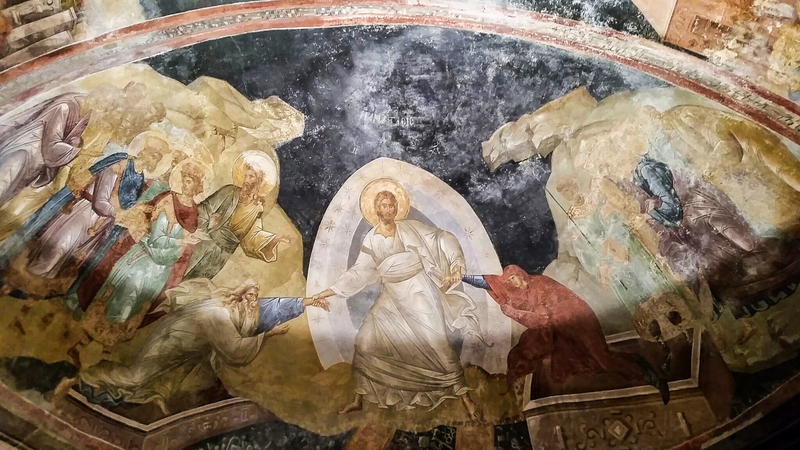 This entry was posted in Christianity, Faith, Feasts and tagged Chora Church, Fauré, Harrowing of Hell, Istanbul, Requiem on October 31, 2015 by frjfkauffmann. Free and open to the public. Come be spiritually uplifted by this beautiful piece of music, sung in remembrance of those who have gone before us. On All Saints’ Day, Sunday November 1st at 4 pm. Sacred Heart Catholic Church in Norfolk, Virginia, Princess Ann Road at Upper Stockley Gardens. 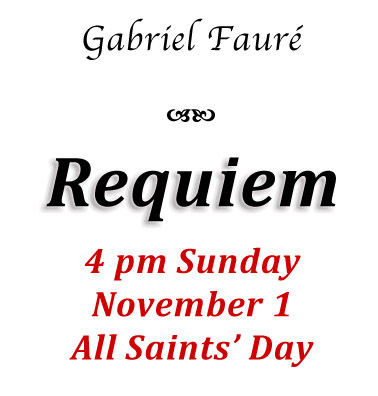 This entry was posted in Faith, Sacred Heart Parish and tagged All Saints' Day, Fauré, Requiem, Sacred Heart Parish on October 30, 2015 by frjfkauffmann.